Motobirds offers scheduled transports across Europe, to Asia and to the South and North America. 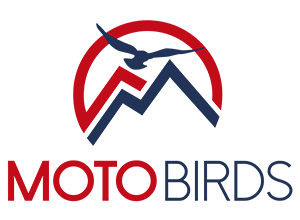 Motobirds can ship your motorbike, quad, camper, car to any of our scheduled destinations or to the destination of your choice. We take care of all transport procedures. Starting with careful packaging and ending with the customs process at destination. The motorbikes are packaged in specially designed transport crates. This means WE DO NOT REMOVE WHEELS, avoiding potential damages to your motorcycle. Everything is carefully wrapped and secured. Our price is all-inclusive and we never have hidden fees or surcharges. You can ship your vehicle along with your camping or riding gear. If needed, we also collect your vehicle at your doorstep anywhere in Europe and deliver it back to you after your trip. We care about your vehicle! We always follow strict rules with regard to the transport of your vehicle. You can deliver your bike yourself in our warehouse in Warsaw, Poland. If it is more convenient, upon additional price, we can collect it at your doorstep. Because we care, your bike is loaded in a closed van – we don’t use open trailers. The transport prices in the tables above refer to the transports from Warsaw to the specified destinations (one or two ways). We inspect your bike and photograph it to document its condition before we even touch it. If there are any scratches or dents before we pack it, we document that. We load your motorbike onto a specially designed steel crate. This allows us to keep the wheels installed. Keeping the wheels on the bike makes it faster, safer and ensures no critical parts like ABS sensor or brake disks get damaged. The only thing that might have to come off is the mirrors and sometimes the windshield. Those are carefully wrapped in protective packaging material and strapped to the bike. The bike is strapped inside the cage. If the luggage is wider than the crate, as may happen on big bikes, we remove the luggage, wrap it and strap it inside the cage. We make sure the luggage does not rub anywhere so it also arrives undamaged. This is why each piece of luggage has to have a clearly readable sticker with your name and the bike license plate number on it. At destination in the customs warehouse, we unload the crates, remove the bikes from the crates and reattach the mirrors & windshield – if they had been removed. You will have to inspect your bike, make sure it functions safely, and be given a delivery form to sign. This form states that you have received your bike in the same condition as you handed it over to us and that it functions as the manufacturer intended. We know your time is precious – we will not waste it. We are only a call or message away if you have any question – or even if you want to challenge us to design your custom expedition to any destination of your dreams.We take care of everything once we have your motorcycle. You just have to be present for handover and ride away. Ensure the bike is delivered to our warehouse by the due date, either driving it yourself or using our transport option. Give us a clean bike. Clearly label all luggage pieces clearly with your full name, and the bike license plate number. Inspect your bike at destination, make sure all works well and be comfortable there are no shipping damages. MOTOBIRDS take care of everything else.